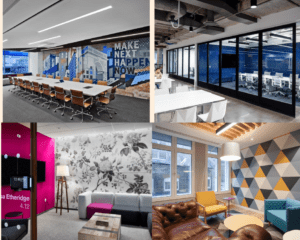 With co-working office fit outs delivering some of the best workplaces in London, we take a look at the reasons behind this revolution and compare and contrast co-working spaces in the capital. Home working and micro businesses are on the rise. Technology companies in the UK have risen from under 100 to over 5,000 in just five years. Accordingly, the demand for small, flexible workspace has increased, with many firms opting to occupy co-working office space. 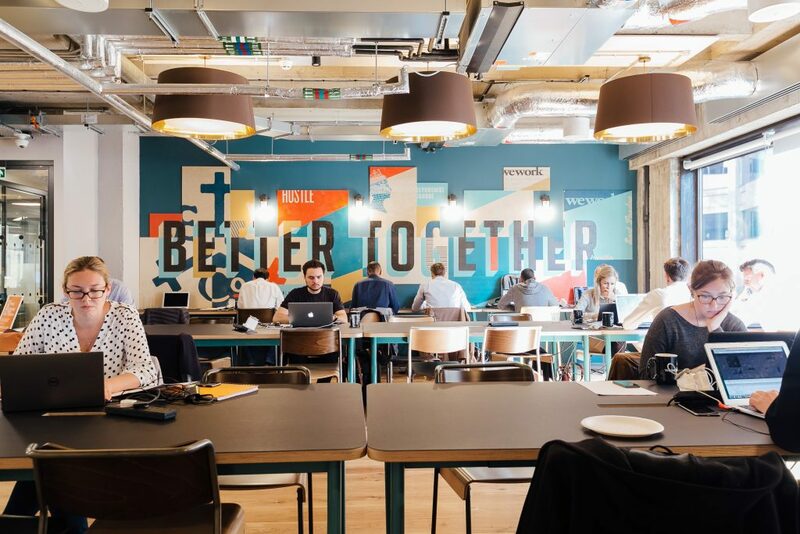 DTZ analysis of co-working members across central London shows that 51% are in the tech and digital sector, 21% are in the communications and media sector, and 10% are in the creative sector. These types of business are rarely looking for anything corporate and don’t have a burning desire to be in Mayfair, the City or the West End. Accordingly, many of London’s co-working spaces are in lower cost, fringe areas including Islington, Bethnal Green and Bermondsey. Many of these technology companies are based on open source principles of sharing. It is therefore not surprising that as well as choosing to share ideas, these start-ups want to share office space with like-minded individuals to create a sense of community and collaboration. Furthermore, self-employed Londoners often look to combat the prospect of loneliness through sharing an office space with like-minded individuals or friends. Better technology means that the demand for traditional office staples such as meeting rooms, storage and even desks has reduced. It is clear that businesses do not need the same level of infrastructure as was required in the past. London’s working population is getting younger. A third of the UK’s 20 to 30 year olds relocating between 2009 and 2012 moved to the capital. The mobile, flexible, informal preferences of Generation Y can be well served by co-working. “Rather than thinking of the office as a place primarily for solitary activity, from which workers occasionally break out to settings intended for social activity, many see the office as a sociable setting from which private places for concentration and confidentiality are occasionally sought.” says Richard Howard, head of central London agency at DTZ. Co-working providers are bridging the gap between what landlords can offer and what many businesses want. When a business decides to occupy co-working space, they make no long term commitment. This alleviates the need for the forward planning and capital that prevents them from leasing conventional offices, with membership costing as little as £225 per month per person. Hedge fund Winton Capital worked with K2 Space on the Cyber London programme, which invests in companies with the potential to create breakthroughs in cyber security. Cyber London provides up to £15,000 per company and access to a free co-working space in Hammersmith. Chris Alldred from K2 Space who designed the space commented: “This wasn’t a typical office design brief, which is usually about fitting a defined number of people and facilities into a space in an agreed layout. Second Home, sells itself as ‘the world’s most iconic space for entrepreneurs and creative businesses’. The former carpet factory just off Brick Lane in Shoreditch offers its members 2GB/s wireless broadband and state-of-the-art AV equipment. Switched On Media is a Sydney based digital agency, looking to grow in London. Andrew Burger, the company’s UK managing director has a roaming membership at Second Home. This gives him 24-hour access to the ‘first-come-first-served’ workspace and related services such as lockers and a postal sorting service. Co-Work offers its members with a desk from under £700 per month in a prime City location, just a 5 minute walk from Bank tube station. Included in this price is a dedicated desk with an integrated lockable storage unit and a phone. Members also get access to meeting room, video conference and printing facilities. WeWork provides a community based office space on Sheraton Street in Soho. Its amenities include hot desk and private office options, with a 24 person studio costing a shade over £20,000 per month. Additional extras include private phone booths, weekly events and free beer. 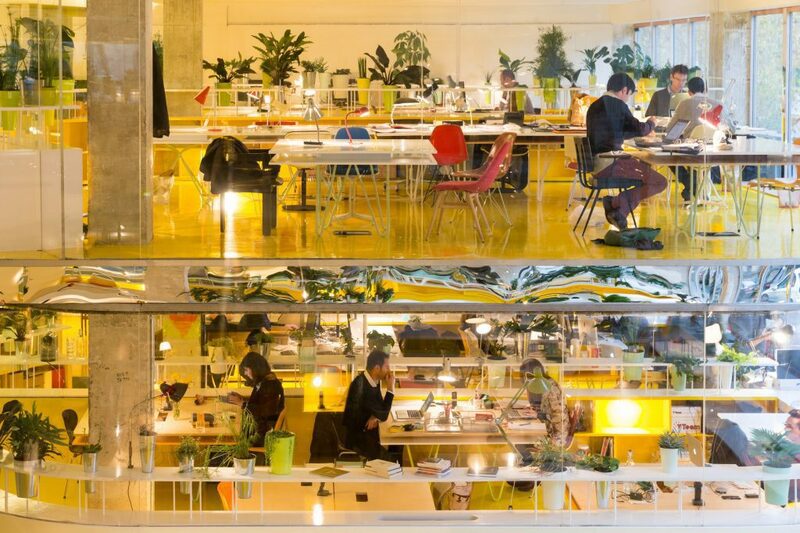 This article has been produced with reference to DTZ’s The CoWorking Revolution report.